Food chains and food webs are the basis for all life on Earth. Every ecosystem has its own unique organisms and way in which those organisms interact with each other. The way that all food chains work follows the same basic pattern: Producers (usually plants) convert sunlight into food. Primary consumers are the herbivores. Secondary consumers eat the herbivores, while tertiary consumers eat both primary and secondary, and so on. The players differ from habitat to habitat, with different creatures filling in the roles in different ways. In the marine world the role of primary producer falls to seaweed, seagrass and phytoplankton. Seaweed and seagrass are multicellular algae and plants, respectively, that grow underwater and photosynthesize like terrestrial plants. Some are rooted and are limited to shallow areas, while others are designed to float. Phytoplankton are single-celled photosynthetic organisms -- algae and cyanobacteria -- that inhabit the upper level of the ocean, and there are a lot of them. They are diverse, tiny and the main basis for life in the oceans because they are the food source for the next step in the chain -- the zooplankton. Zooplankton are barely bigger than the phytoplankton they eat. While some are single-celled, most are multicellular and include shrimp, krill, and the larval forms of bigger animals like fish and jellyfish. These are the herbivores. They feed on the phytoplankton and are fed on by the carnivores in the next step in the chain. Although secondary consumers can include some shrimp, mostly they are small fish like herring and sardines, and the juvenile stages of larger fish and jellyfish. Crustaceans like lobsters and crabs also fall into this category. At the next level in the chain are the larger predatory fish and squid. These are active hunters that roam the oceans looking for schools of smaller fish, like sardines, to feed on. Examples of these fish are tuna, mackerel and cod. Most of these species get quite large -- yellowfin tuna, for example, can grow to 110 inches (9 feet) long and average about 400 pounds in weight. 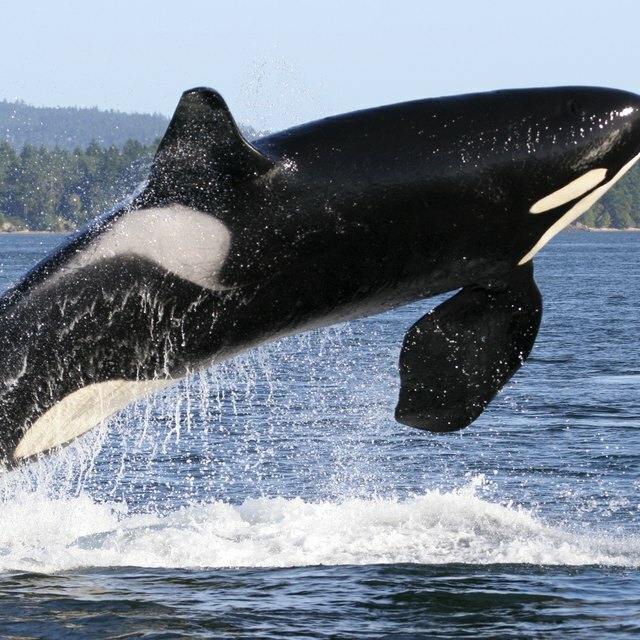 They travel and hunt in schools, and aren't very picky eaters; they'll eat any fish smaller than themselves (including others of their own kind), as well as crustaceans and squid. 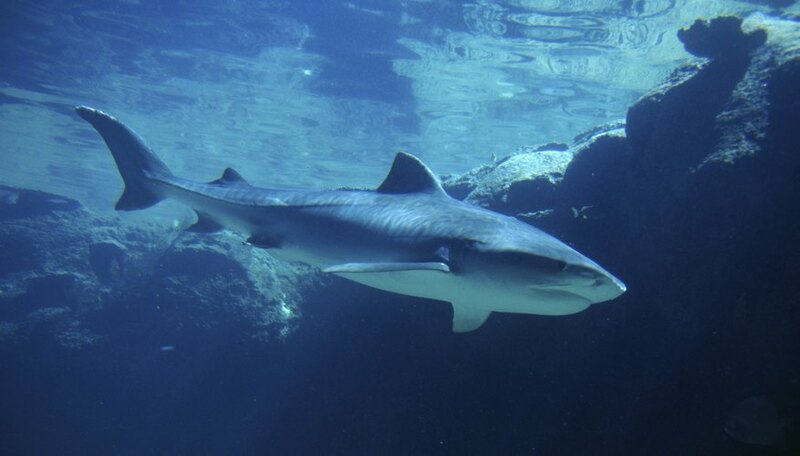 In the food chain of saltwater fish, the top predators are sharks. While not all sharks are hunters (the largest, the whale shark, eats mainly zooplankton), many are voracious predators. Large sharks will, in different stages of their lives, eat everything from herring to tuna to seals. And they do get large; the average female great white is 15-16 feet long. Sharks share the top ocean predator spot with large squid, seals, dolphins and toothed whales. All of these feed on fish of various sizes and are important in the fish food chain for that reason. Smithsonian: How Big are Great White Sharks? Dolph, Mara. "The Food Chain of Saltwater Fish." Sciencing, https://sciencing.com/food-chain-saltwater-fish-6743055.html. 25 April 2017.